Last week, new sexual harassment regulations and procedures were approved by the Iowa Administrative Rules Review Committee. Iowa Senate Ethics Committee Chair Jerry Behn says it may seem like these new rules and procedures were pushed through quickly, but he points out the work began almost two years ago. It started with former Senate President Mary Kramer working to improve the Senate’s employment policies, followed by the Statehouse hiring a Human Resources Director to update personnel guidelines, to administer training sessions and facilitate handling complaints. Behn adds they also hired a third party legal counsel to draft the policies that outline the process of reporting complaints and inappropriate behavior to an independent agency. Behn gives his reaction to the end product. 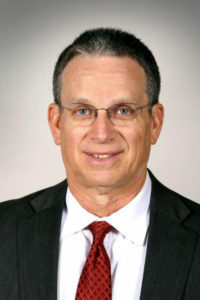 However, Behn doesn’t believe these types of situations happen frequently at the Statehouse, even going as far back as his first years as a lawmaker in 1996, to when he was the Senate Minority Leader in 2010. Behn says for any situations that are going on now or in the future, these new procedures will help to mediate those issues. He notes that the Senate Ethics Committee doesn’t initiate investigations into sexual harassment allegations. Only if a complaint is made and procedures are followed through do they get involved. He adds that the Senate Ethics Committee is the only committee that consists of equal number of Republicans and Democrats, three apiece, to not allow for any possible “witch hunts” to take place.